Jason Franklin’s overview article hits the mark in terms of what differentiates a next gen donor from many donors ‘over a certain age’. Over the past 14-plus years we have been privileged to work with many next gen donors who are either wealth creators themselves or inheritors – or some combination thereof. We have witnessed an emphasis on mission-related and impact investing as part of a growing emphasis on alignment of all assets in service of mission; a focus on structural change and root causes of social and environmental problems; and a commitment to more than the cheque, with next gen donors favouring hands-on engagement and understanding the need for general operating support (Yeah!). We have observed a real commitment to global and local issues – a recognition that social and environmental issues know no borders (clearly a function of the internet); the blurring of lines between business and philanthropy; and a lot of talk about impact and seeing evidence of change. On this last point, all the articles mention next gen donors’ new emphasis on seeking real, measurable impact. I have to say that this is by no means a new emphasis: the desire to see a return on investment and evidence of tangible change resulting from our philanthropic activities transcends generations. Evaluation and evidence building are areas of philanthropy that we still have not got our arms around. I wonder – do next gen donors have new methodologies to help us understand causality? How do they define measurable impact? Are they funding evaluation – building the capacities of NGOs to effectively evaluate their work? Next gen donors have an opportunity to add to the philanthropic toolbox by finding new ways to understand and measure impact and share this with the larger field. We could all use a shot in the arm to shake up how we have been thinking about impact – particularly around social change. 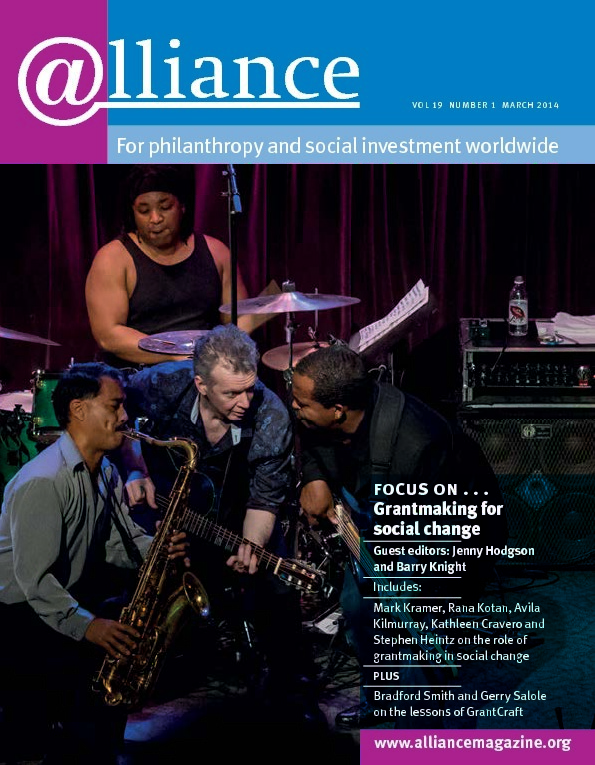 Why not support the world’s emerging community foundations?